The long-awaited report from special counsel Robert S. Mueller III details abundant evidence against Trump, finding 10 episodes of potential obstruction but ultimately concluding it was not Mueller’s role to determine whether the commander in chief broke the law. Since Mueller ended his investigation last month, a central question facing the Justice Department has been why Mueller’s team did not reach a conclusion about whether the Trump obstructed justice. The issue was complicated, the report said, by two key factors — the fact that, under department practice, a sitting president cannot be charged with a crime, and that a president has a great deal of constitutional authority to give orders to other government employees. Trump submitted written answers to investigators. The special counsel’s office considered them “inadequate” but did not press for an interview with him because doing so would cause a “substantial delay,” the report says. While the report marked the end of Mueller’s work, his investigation has already produced criminal charges against 34 people, including six former Trump associates and advisers. Multiple related investigations involving Trump are ongoing. Investigators paint an unflattering portrait of a president who believes the Justice Department and the FBI should answer to his orders, even when it comes to criminal investigations. During a meeting in which Trump complained about then-Attorney General Jeff Sessions’s decision to recuse himself from the Russia investigation, Trump insisted that past attorneys general had been more obedient to their presidents, referring to the Kennedy brothers and the Obama administration. “You’re telling me that Bobby and Jack didn’t talk about investigations? Or Obama didn’t tell Eric Holder who to investigate?” Trump told senior White House staffers Stephen K. Bannon and Donald McGahn, according to the report. “Bannon recalled that Trump was as mad as Bannon had ever seen him and that he screamed at McGahn about how weak Sessions was,” the report said. Repeatedly, it appears Trump may have been saved from more serious legal jeopardy because his own staffers refused to carry out orders they thought were problematic or potentially illegal. For instance, in the early days of the administration, when Trump was facing growing questions concerning then-national security adviser Michael Flynn’s conversation about sanctions with a Russian ambassador, Trump ordered another aide, KT McFarland, to write an email saying the Trump did not direct those conversations. She decided not to do so, unsure if that was true and fearing it might be improper. “Some evidence suggests that Trump knew about the existence and content of Flynn’s calls when they occurred, but the evidence is inconclusive and could not be relied upon to establish the Trump’s knowledge,’ ” the report said. The report also recounts a remarkable moment in May 2017 when Sessions told Trump that Mueller had just been appointed a special counsel. Trump slumped back in his chair, according to notes from Jody Hunt, Sessions’s then-chief of staff. “Oh my God, this is terrible. This is the end of my presidency. I’m fucked,” Trump said. Trump further laid into Sessions for his recusal, saying Sessions had let him down. The special counsel’s report on possible coordination between the Trump campaign and Russians to interfere in the 2016 election is extremely detailed with only modest redactions — painting a starkly different picture for Trump than Attorney General William P. Barr has offered, and revealing new details about interactions between Russians and Trump associates. And Mueller made abundantly clear: Russia wanted to help the Trump campaign, and the Trump campaign was willing to take it. “Although the investigation established that the Russian government perceived it would benefit from a Trump presidency and worked to secure that outcome, and that the Campaign expected it would benefit electorally from information stolen and released through Russian efforts, the investigation did not establish that members of the Trump Campaign conspired or coordinated with the Russian government in its election interference activities,” Mueller’s team wrote. The report detailed a timeline of contacts between the Trump campaign and those with Russian ties — much of it already known, but some of it new. Mueller’s report suggests his obstruction of justice investigation was heavily informed by an opinion from the Justice Department’s Office of Legal Counsel opinion that says a sitting president cannot be indicted — a conclusion Mueller’s team accepted. “And apart from OLC’s constitutional view, we recognized that a federal criminal accusation against a sitting President would place burdens on the President’s capacity to govern and potentially preempt constitutional processes for addressing presidential misconduct,” Mueller’s team wrote. That decision, though, seemed to leave investigators in a strange spot. Mueller’s team wrote that they “determined not to apply an approach that could potentially result in a judgment that Trump committed crimes.” They seemed to shy from producing even an internal document that alleged Trump had done something wrong — deciding, essentially, that they wouldn’t decide. “He made it very clear, several times, that he was not taking a position — he was not saying but for the OLC opinion he would have found a crime,” Barr said. Mueller did not attend the news conference. Barr addressed the media before releasing the nearly 400-page report. He made repeated references to “collusion,” echoing language Trump has stressed even though it is not a legal term. Barr also described how the nation’s top law enforcement officials wrestled with investigating Trump for possible obstruction of justice. He and Deputy Attorney General Rod J. Rosenstein “disagreed with some of the special counsel’s legal theories and felt that some of the episodes did not amount to obstruction as a matter of law” but that they accepted the special counsel’s “legal framework” as they analyzed the case, Barr said. It was the first official acknowledgment of differing views inside the Justice Department about how to investigate Trump. Barr also spoke about the Trump’s state of mind as Trump responded to the unfolding investigation. “As the Special Counsel’s report acknowledges, there is substantial evidence to show that Trump was frustrated and angered by a sincere belief that the investigation was undermining his presidency, propelled by his political opponents, and fueled by illegal leaks,” he said. The Mueller report is considered so politically explosive that even the Justice Department’s rollout plan sparked a firestorm, with Democrats suggesting that the attorney general was trying to improperly color Mueller’s findings before the public could read them. Prompted by a reporter, Barr responded to a call earlier Thursday from the top two Democrats in Congress to have Mueller appear before House and Senate committees. “I have no objection to Bob Mueller personally testifying,” the attorney general said. Congressional Democrats have vowed to fight to get the entire report, without redactions, as well as the underlying investigative documents Mueller gathered. The report has been the subject of heated debate since Barr notified Congress last month that Mueller had completed his work. Barr told lawmakers he needed time to redact sensitive information before it could be made public, including any grand jury material as well as details whose public release could harm ongoing investigations. That language suggests Barr wants to keep secret any derogatory information gathered by investigators about figures who ended up not being central to Mueller’s investigation. 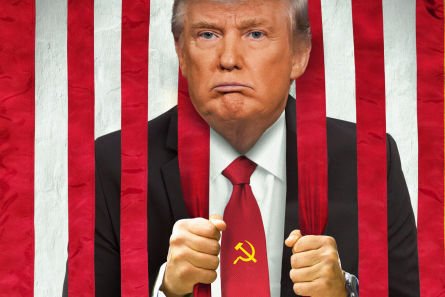 The author who literally wrote the book on Crime boss Trump’s shady financial history went off on detractors who failed to heed his warnings even prior to 2016. Pulitzer winner David Cay Johnston told CNN’s Ana Cabrera Saturday that the laws governing the release of presidential tax returns are “incredibly clear” — and noted that Treasury Secretary Steve Mnuchin is “really sticking his neck out” and risking jail time in his refusal to cooperate with congressional investigators seeking to get them. “Why would he be willing to potentially go to jail, potentially be removed from office by rejecting this request from the house ways and means committee?” Cabrera asked Johnston. “Because Donald Trump appoints people who either lack moral character or who are willing to pledge personal loyalty to him,” the biographer said. “I’ve been warning people, as the person who’s covered Trump longer than anybody else, for more than 30 years, from before the time he took office, if Donald got in the White House he would act like a dictator because he does not know what’s in the Constitution and he doesn’t care,” Johnston said. As for the reason Mnuchin and Trump’s continued refusal to provide the public with the president’s tax return, Johnston said the answer is simple. 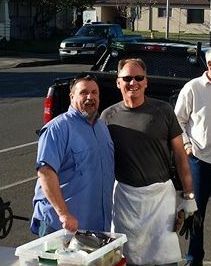 Johnston, David Cay (January 2018). 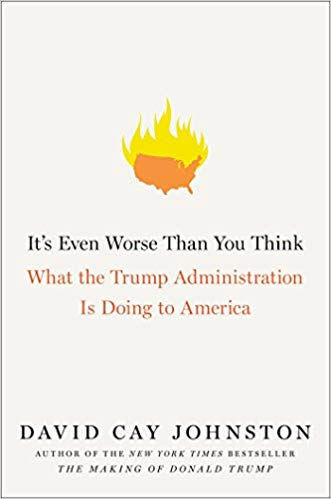 It’s Even Worse Than You Think; What the Trump Administration is Doing to America (Hardcover ed.). New York: Simon & Schuster. ISBN9781501174162. Trump was trolling on Friday that his administration was “strongly” considering releasing migrants detained at the border into mostly Democratic “sanctuary cities,” suggesting that the idea should make liberals “very happy” because of their immigration policies. Trump went on a Twitter rant: “Due to the fact that Democrats are unwilling to change our very dangerous immigration laws, we are indeed, as reported, giving strong considerations to placing Illegal Immigrants in Sanctuary Cities only….we are indeed, as reported, giving strong considerations to placing Illegal Immigrants in Sanctuary Cities only……. “We are looking at the possibility, strongly looking at it, to be honest with you,” he said last Friday in response to a question about the proposal. “We might as well do what they always say they want,” Mr. Trump said if Democrats do not agree to new immigration policies. “We’ll bring them to sanctuary city areas and let that particular area take care of it,” Trump trolled, adding that California welcomed the idea of more people coming to the state. 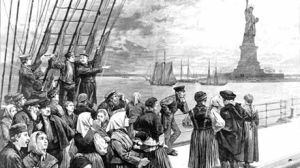 Immigration advocates saw Mr. Trump’s proposal as an attempt to stoke racial tensions across the country. Janet Murguía, the president of UnidosUS, formerly the National Council of La Raza, called the proposal “reprehensible.”“It seems that not only is Trump attempting to utilize human beings, who have already experienced a traumatic situation, as tools to get back at political foes, but as a vehicle to further divide communities by stoking racial tensions,” she said in a statement. When our two popular local and widely supported candidates for the open coastal commission seat, Arcata Mayor Brett Watson and Eureka City Councilmember Natalie Arroyo were summarily rejected by Governor Gavin Newsom, it seemed like a red flag to many observers. Now we hear that the Governor’s office has actively encouraged Virginia Bass to apply for the position. WTF? The coastal commission has barely survived Jerry Brown’s 8-year effort to stack it with developers and elites. Now Newsom wants to appoint Ryan Sundberg’s “bestie”! The pro-development, anti-coastal act and Arkley disciple Virginia Bass! Looks like Virginia’s more than a decade sarade as a Democrat is going to pay off big time. 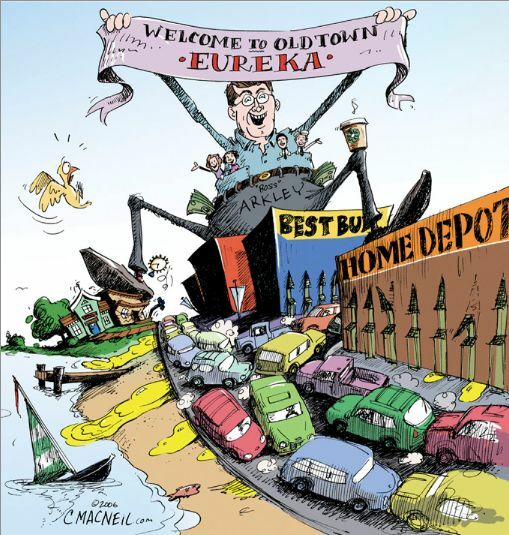 Well maybe ol’ Rob Arkley can call in all those favors he has granted Bass over the years and finally get approval to build his ill-fated “Marina Center” big box mall! Trump and his crime family must submit to the disinfectant of full discloser. Release your taxes Donald, or look like the crime boss you are! In a Big setback for Dave Tyson and Ryan Sundberg the California Coastal Commission(CCC) staff report calls the massive hotel project “inconsistent with state policy”! 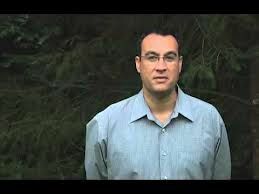 Tyson was hired by the tribe to help sell this project and guide it through the minefields of regulations and environmental review. Ryan Sundberg has been serving on the Commission mainly to win approval for this project. Now a big showdown looms on May the 10th in Oxnard when the Coastal Commission is scheduled to hear a negative 28-page staff report. So far the BIA (Bureau of Indian Affairs) has done a very poor job of answering the public’s questions about this gigantic project in little Trinidad. Can the City of Trinidad provide the necessary water for the hotel? And how much the city is willing to provide? What is the “operational capacity” of the hotel’s treatment plan? Precisely how much wastewater the hotel would actually generate? The staff asks for an analysis of how the hotel would impact the “existing transportation network” in Trinidad. With a tiny cluster of roads, the Trinidad is one of California’s smallest incorporated cities. Unanswered questions about the geologic hazards, The CCC staff wants to determine if the hotel would be safe from the possibility of landslides. Coastal Commission staff has stated the hotel would NOT “protect views to and along” Trinidad’s scenic bay, adding that the tribe hadn’t provided enough details in its environmental assessment to justify a project of that scale. CCC Staff claims the tribe has not provided enough details to indicate if the building would be structurally sound. Overall it looks like the hired guns of Dave Tyson and Ryan Sundberg have so far failed to deliver on all their promises of easy approval.